Summary Review If you've got a dedicated group, this game shines. It has the potential to be a very deep and involved experience for anyone willing to dive in. 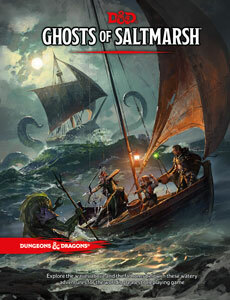 If you can get a regular group together and you like Fantasy RPGs, miniatures, and asynchronous gameplay- buy it. 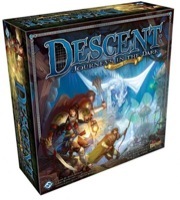 Detailed Review Descent: Journeys in the Dark 2nd Edition has everything I've always wanted in a board game. It features modular board design, customizable characters, a level and loot system, and a story-based campaign. When everything is running accordingly, and you've got a good group- there's hardly a better time I've had behind a gameboard and some cards. However, if you've got a group that is easily disjointed, can't get together or work together- I can't suggest this game without a grain of salt. The game features up to 4 players adventuring cooperatively (key word, here) against an Overlord. This is a basic overview of the system. The adventurers are more or less at the mercy of the Overlord, who serves as the villain. The dynamic is interesting, yet divisive. One person in your group has to want to exclude himself or herself to a different gameplay system. However this player also serves as a sort of dungeon master. The Overlord is in charge of setup, story events, rewards, enemy placement, etc. with the help of the campaign book. This being my first serious board game, I tested it with a few groups. There were hiccups, as their always will be, but when I got things sorted, it started to become a lot of fun. That was over 2 months ago now. Herein lies a sort of flaw with the game. If you have asynchronous schedules, you're going to have a hard time keeping continuity with the story. Fortunately, the game does come with a small notepad with character sheets to keep track of your progress. The game has gorgeous art on its tiles and cards. It has a huge bag of miniatures and custom dice. There is a lot that you're getting with this box. FF just released an online tool to create your own quests. This game has so much replay value, much more than any game I currently own. It's possible to have a constantly fresh and rewarding experience, no matter which side of the board you're on. Hopefully, soon I can get the group back together so we can jump back in. If you can get a regular group together, BUY this game. If you can't, I'd suggest demoing it in the store.